Bard™ is the place to discover and license production music for your video project. Bard searched from over 1.5 million songs across some of the best licensable music catalogs on the internet. Easily search through songs with a simple keyword system, and clearly see what licenses and prices work for your project before committing to purchasing music. Transparent, simple, and straight forward. The way buying licensed music should be. 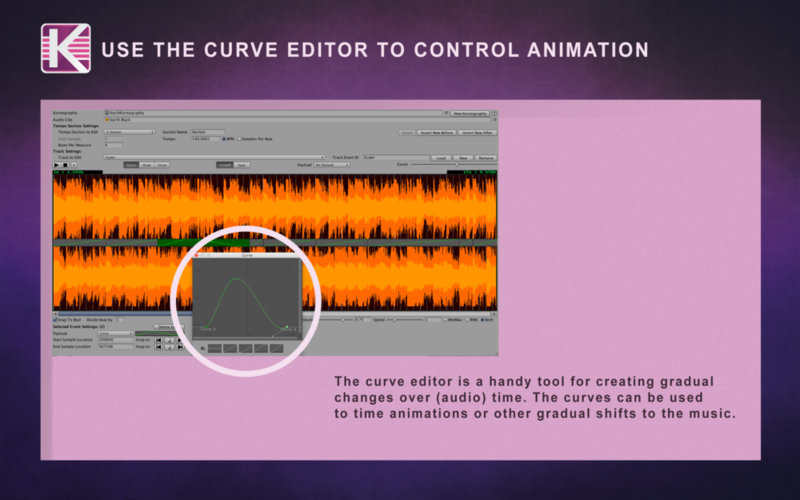 Sonic Bloom's Bard™ is drastically simplifying the way media creators find production music on the internet. Instead of searching hundreds of different sites for music, Bard searches them for you.. Search through inventories of top libraries, including Pond5, Jamendo, and Audio Jungle; with more coming soon. That way you can spend a lot less time searching, and a lot more time finding the best song for your project. With over 1.3 million pieces of music, there is sure to be something that fits your video, podcast, website or videogame. Bard is currently in Alpha, and is rapidly undergoing functionality changes. Sign up now for free, and let us know what kind of features you would like to see next! Sonic Bloom's Bard is currently available for Adobe Premiere Pro, and web. 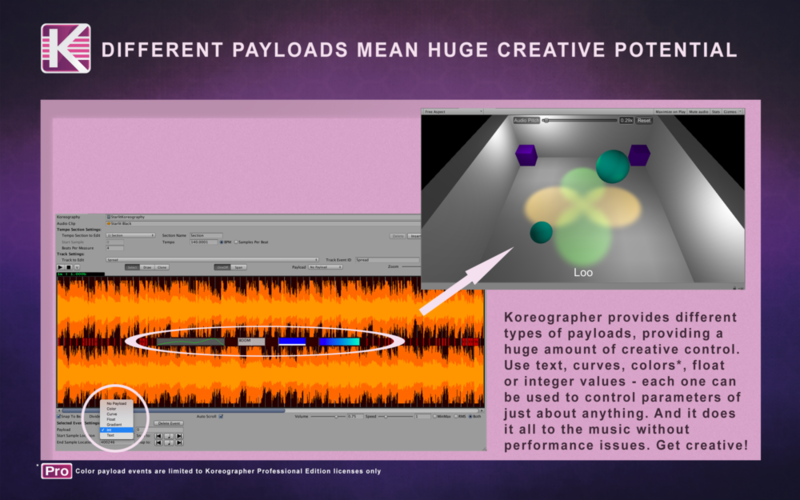 Koreographer™ is a Unity Plugin that simplifies the process of synchronizing music in your video game. 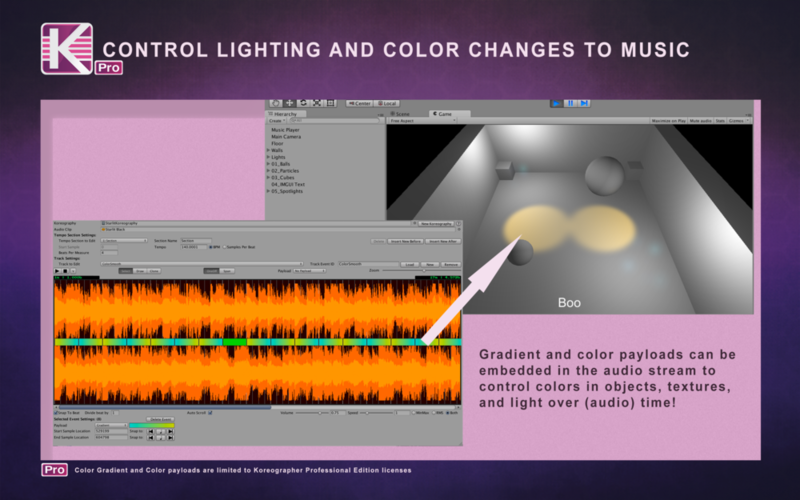 It’s simple editing interface allows Unity developers to map rhythms, beats, notes, volume and other dynamics of the music to events in the game. Koreographer™ is used by developers to create rhythm games, make any game more cinematic, enhance game environments with music, and create new controls and music-driven gameplay. Koreographer™ Professional Edition provides a full suite of unique tools for savvy Unity developers wanting to get more out of proactive audio synchronization. This is the way of harnessing the full power of Koreographer™, including 3rd party integrations and access to the source code for all of your tinkering needs. 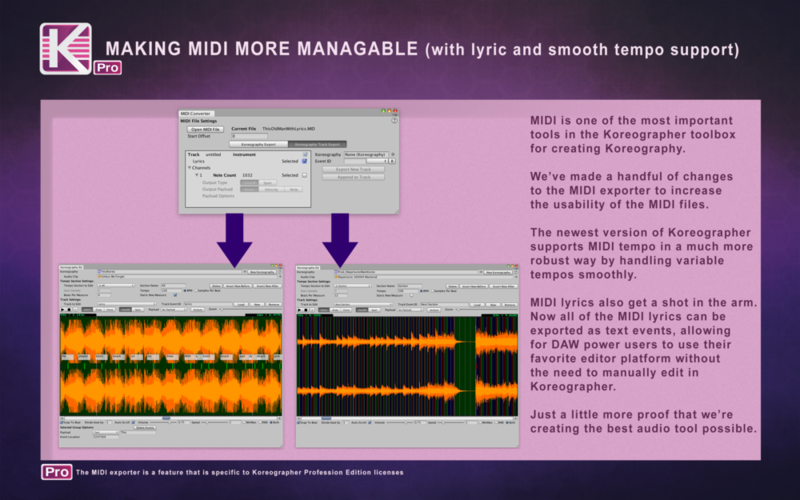 We've packed it full of specialized new features that streamline development with Koreographer™, including the MIDI converter, color and color gradient event payloads, and audio analysis for quick event generation. If you're inspired to improve your gaming experience by syncing graphics to the background music, then this is the tool for you. Koreographer™ is a great way to introduce yourself to the power of game development with proactive audio. It includes everything you need to get familiar with the tool and enhance your work, without any unnecessary features. Source code is not available for this license, but it's still an incredibly powerful, high-precision tool for proactive audio synchronization. If you bought this and regret not splurging for the Professional Edition, we provide upgrade pricing that splits the difference. What could you possibly be waiting for? Try it out! Koreographer is a tool for developers; made by developers. To make sure game devs have the best tools around, we've endeavored to build Koreographer with compatibility in mind. We have built partnerships with some of the best tool developers so that Koreographer merges seamlessly into your workflow. Below are some of the Unity assets we have tested to make sure we are compatible with their systems. Need a multiplayer audio solution? Master Audio gives you tremendous ease of use, speed, power and flexibility far beyond any contender. Why use another underpowered solution and waste your time writing code? We've coded every scenario from easy to complex so you don't have to! We even have our own flexible "no coding" event-based script to hook sound up if you don't have Playmaker.